Nice home that lives larger than its square footage. Master bedroom has its own private bath and walk-in closet. Third bedroom could be used as an additional living room or office. Beautiful mature treed lot, full one acre for privacy. Two story garage with additional storage above, cement floor and power. RV hook up. Additional outbuildings. Circular drive. Easy access to Hwy 97 via Newberry Road. 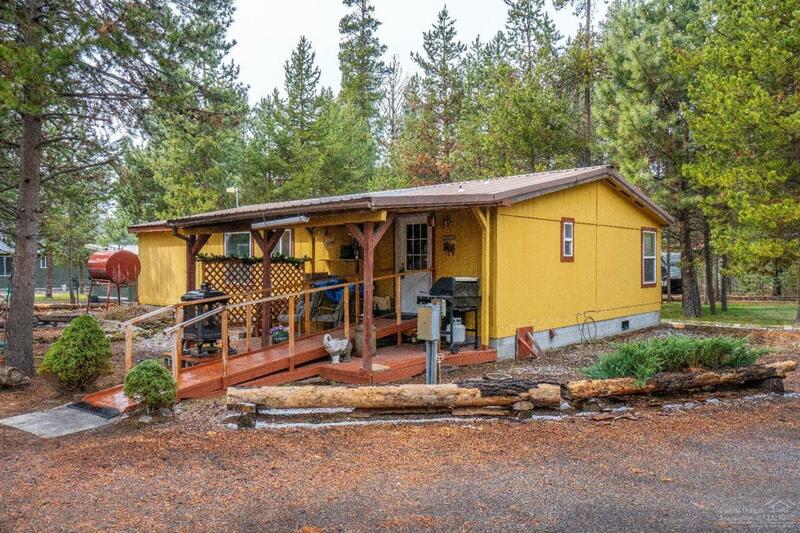 Very easy access to Paulina Lake, East Lake, snowmobiling and all Newberry Caldera recreation spots.